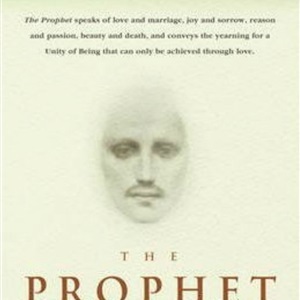 Inspired largely by the beauty and timlessness of nature, The Prophet is illustrated with Gibrans own drawings, speaks of Love and Marriage, Joy and Sorrow, Reason and Passion, Beauty and Death, and conveys the yearning for a unity of being that can only be achieved through Love. 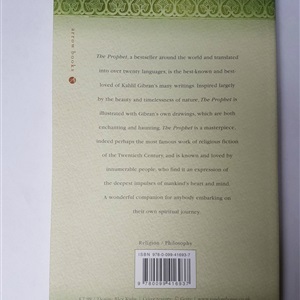 Khalil Gibran was born 1883 near Mount Lebanon, a region that has produced many prophets. The wisdom texts are arrayed as 26 Poetry Essays about things that are important for our every day life. About Children - Kahlil Gibran "Your children are not your children. They are the sons and daughters of Life's longing for itself. They come through you but not from you, And though they are with you yet they belong not to you. You may give them your love but not your thoughts, For they have their own thoughts. You may house their bodies but not their souls, For their souls dwell in the house of tomorrow, which you cannot visit, not even in your dreams..."